Number line models provide a visual aid for students to examine the relationship of integers with each other and facilitate learning of integers and integer operations. Such models are typically used when students are asked real-life problems. 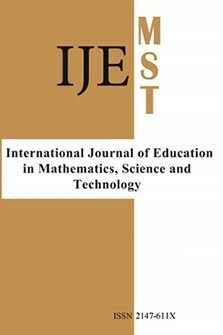 This study employs a qualitative case study design to perform an in-depth analysis of how middle grade students use number line models and which models they instinctively prefer for different real-life contexts. To understand students’ way of thinking, a questionnaire including real-life context problems about integers was used. Additionally, interview data was used to get a deep insight into students’ written responses. The results indicated that middle grade students have three evoked concept images of number line models namely, horizontal, vertical, and the Cartesian plane combining the two. The horizontal number line model was found to dominate over the other two models even in contexts that are typically associated with a vertical one. The study also found that more than half of the students that took part in the study could not properly use any number line model. Finally, the study added to the evidence that there was a symbiotic relationship between arithmetic calculation and using number line in that errors made during one are often corrected with the other.